If leggings aren’t pants, then we're the official choreographers of the no pants dance. 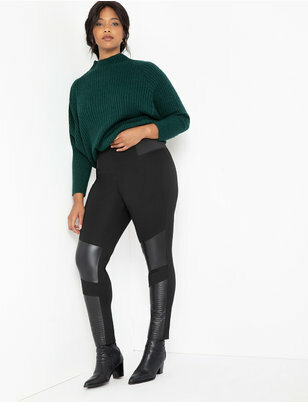 Made with heavyweight stretch fabric, our plus size leggings are flattering and comfortable. With a thick high waisted band, their bodycon silhouettes stay form fitting all day long. 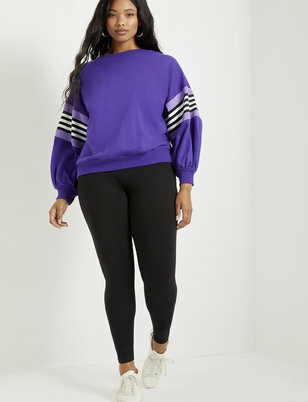 If you’re hoping to step up the game from your basic athleisure, we’ve added fun details like ruffle hems, side stripes, faux leather patches and stirrups to keep it interesting. 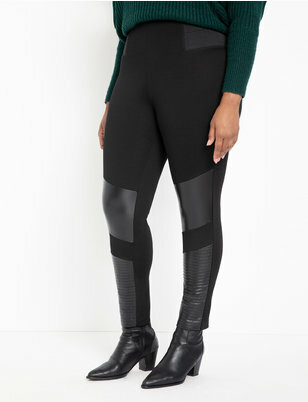 Our leggings selection also has alternatives to black, like shiny metallics and punchy colors. Toss on an edgy leather jacket on top and your favorite heels for the perfect Saturday night out combo.